The historic village of Eden Mills is home to 350 people who share the dream to become North America’s first carbon neutral village. Starting on Nov. 7, 2007, Eden Mills set themselves the ambitious goal of balancing the amount of CO2 that the village emits with the amount it absorbs. Having hiked to The Devil’s Well in the morning we decided to take a short detour on the way home and check out the village. We parked in the parking lot for the community hall and explored a little. The original inhabitants of the area were the Neutral Confederacy. They were a group of North American natives who lived up to their name by trading with both the Hurons and Iroquois, two tribes who were at war with each other. Their territory covered much of what is now Southern Ontario with their numbers reaching toward 40,000 prior to the onset of Europeans who came with their diseases that the natives had no immunity to. The Neutral may well have been the builders of the Longhouses at Crawford Lake. The Neutrals lived in harmony with nature much more like the Garden of Eden than the later town which bears it’s name. 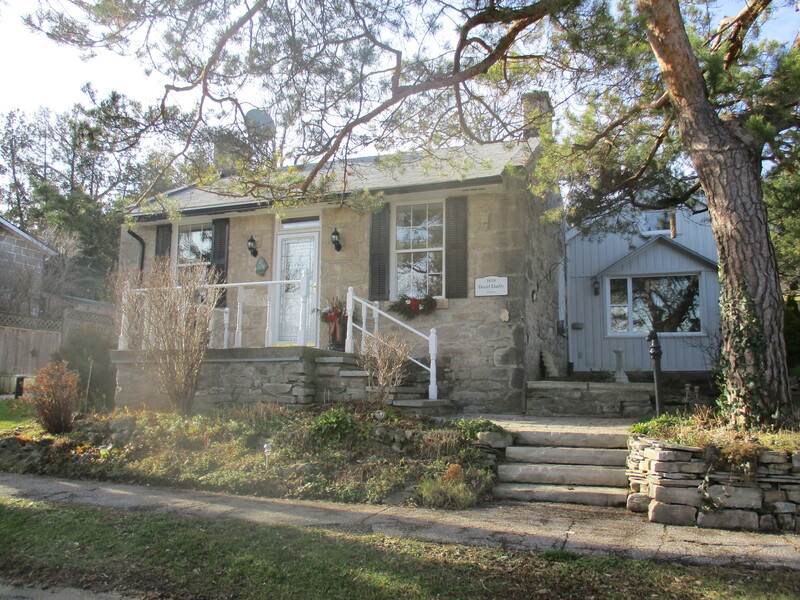 With the arrival of three mills on the Eramosa river starting in 1842 the town of Eden Mills was born. Founded by David Kribbs it was originally known as Kribbs Mills. Both saw and grist mills were built and they went through many owners in the first few years. We see paintings of quiet mill ponds with scenic mills and a peaceful community in the countryside. In reality mills were noisy and usually polluted land, air and water. The local rivers were used to dispose of saw dust and other waste. The mills themselves were responsible for making the place less like Eden than the name suggests. The former Kribbs grist mill stands on the side of the Eramosa river. When the community began their carbon neutral project they started by determining the baseline for their carbon footprint in January 2008. With the help of University of Guelph students they set up measurements to be able to quantify their success and provide evidence of their claims. The 2007 figure of 4,708 tonnes of annual emissions presented the village with a huge challenge. The good news was that over half of the annual emissions were being stored by the local forest. Plans were made to plant certain species of trees that sequester carbon better than others. Sugar Maples absorb four times more CO2 than white spruce or pine trees of a similar age. Over 40,000 trees have now been planted to supplement the existing forest cover. The picture below shows the tail race for the grist mill which passes under the roadway and returns the water back to the river. It is made of a circle of cut stone with the landscaping being designed to match. 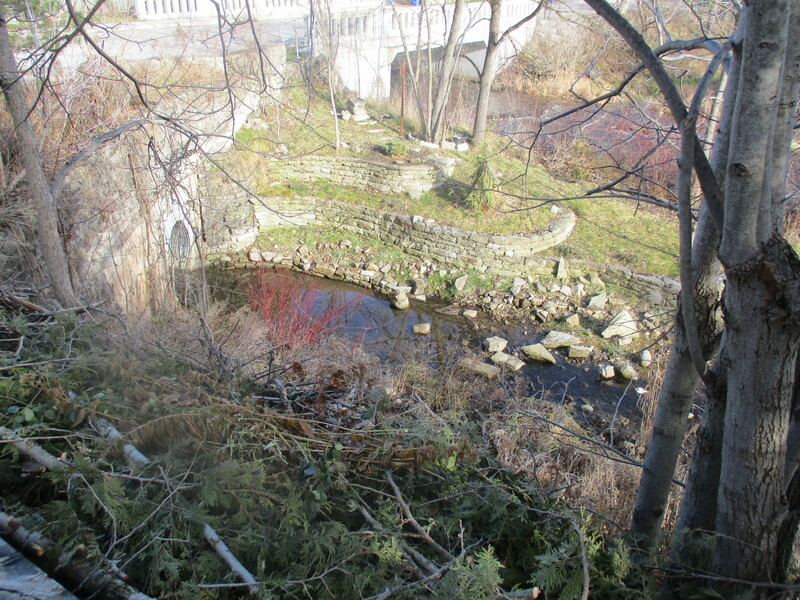 The Eden Mills pond has been drained but it creates a scenic playground in the heart of town. It is managed and maintained by the Eden Mills Millpond Conservation Association Inc. which is a registered charity started in 1990. The dam walls and other structures were restored by a group of volunteers who devoted hundreds of hours of labour to complete the work. This group has also been the inspiration for the current carbon neutral initiative. A set of wooden steps can be seen at the left in the picture below that have been fixed to the far end of the concrete dam. They lead down to the summer swimming area of the mill pond. 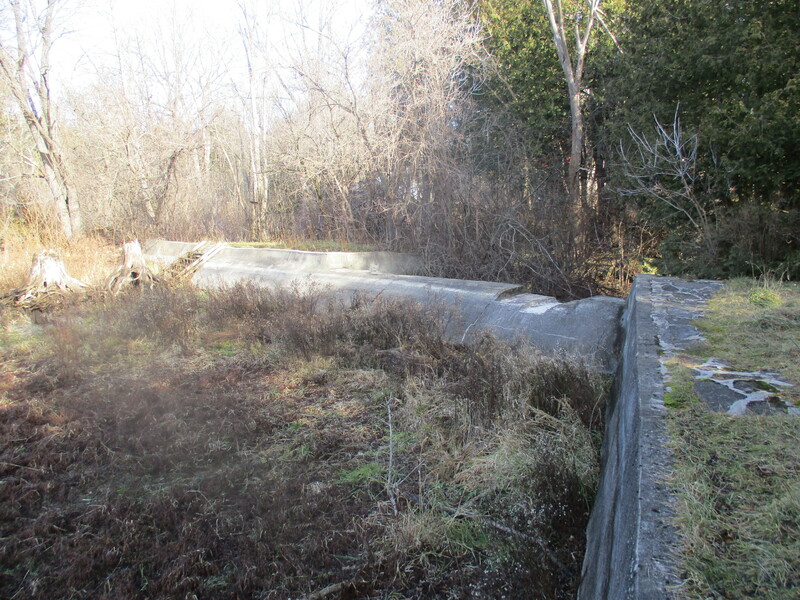 The pond also supplied water for the saw mill through a head race that was fed from where the spillway is seen as a cut-out section on the dam. A wooden water wheel is shown in the cover photo and below. 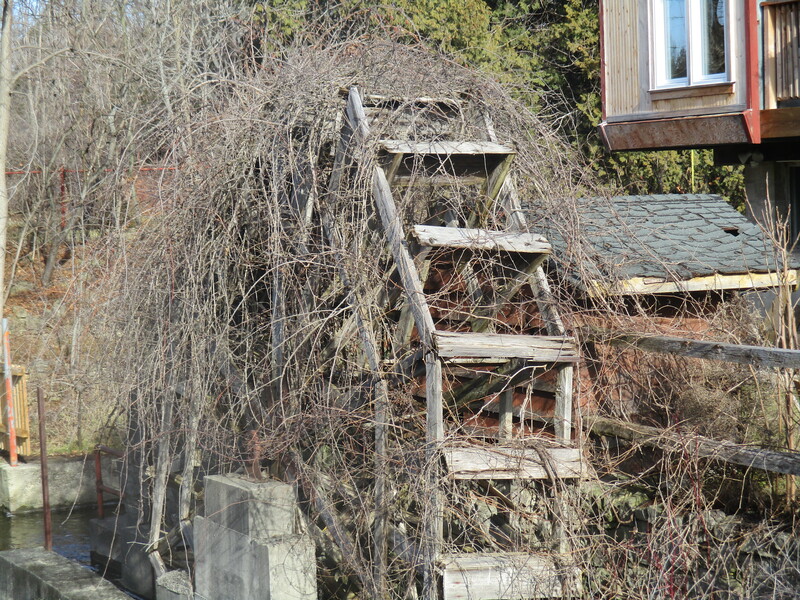 It hasn’t been used in awhile as the overgrowth of vines shows. This wheel spins in a counter-clockwise direction and is known as a breastshot wheel. The wooden buckets had water dropped in them at a point near the centre line of the wheel’s edge or just above it. Breastshot wheels are not as efficient as overshot wheels but were commonly used where high volumes of water flow were available. 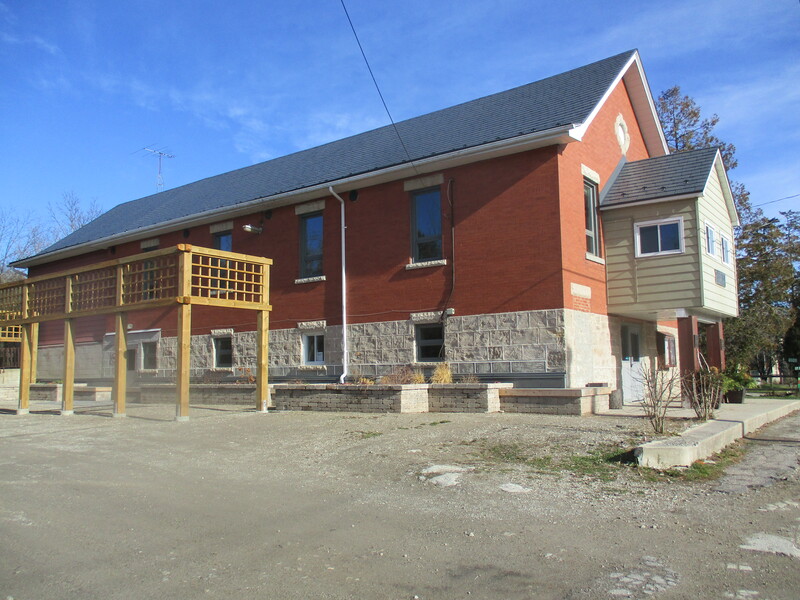 The community hall stands beside the mills. The original building was built in 1893 but burned down in 1917. It was immediately rebuilt and has now become a good example of the steps taken toward reducing the carbon footprint of the village. Following a series of upgrades in 2013, it was estimated that the carbon impact of the hall would be reduced by 63%. They installed a new metal roof and insulated the ceiling. The windows were replaced with triple glazed Low-E argon windows for increased energy efficiency. One of the propane furnaces was replaced with an air-to-air heat pump and two heat recovery ventilators were added. Individual households participate in biannual surveys to help track the progress of the village in reducing, replacing and absorbing CO2. As of Dec. 1, 2013, they have achieved 75% of the target to become carbon neutral. Another one of the main objectives was to ensure they all had fun while working on this project. By all accounts, they have been successful at this too! 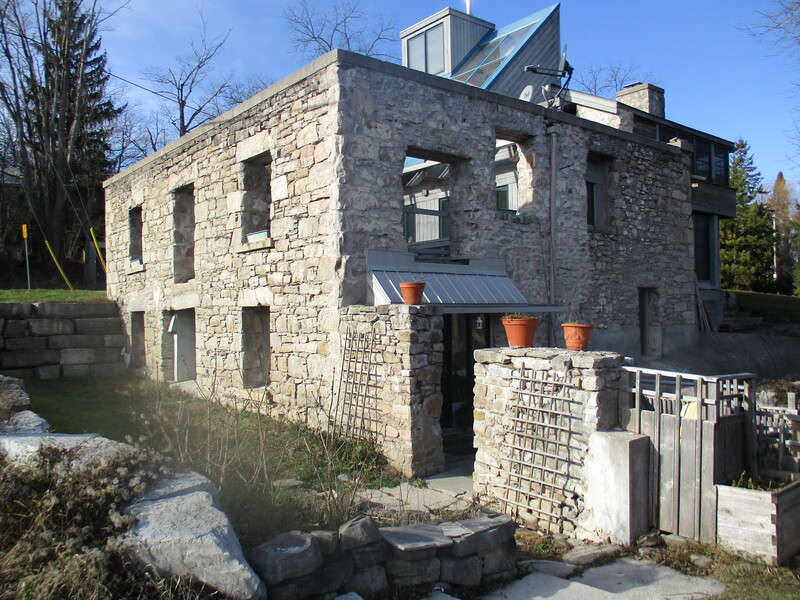 The Niagara Escarpment provides an abundance of stone for building materials and the older buildings in Eden Mills are made from cut stone blocks. David Darby was the town tailor making and mending clothes for the community. 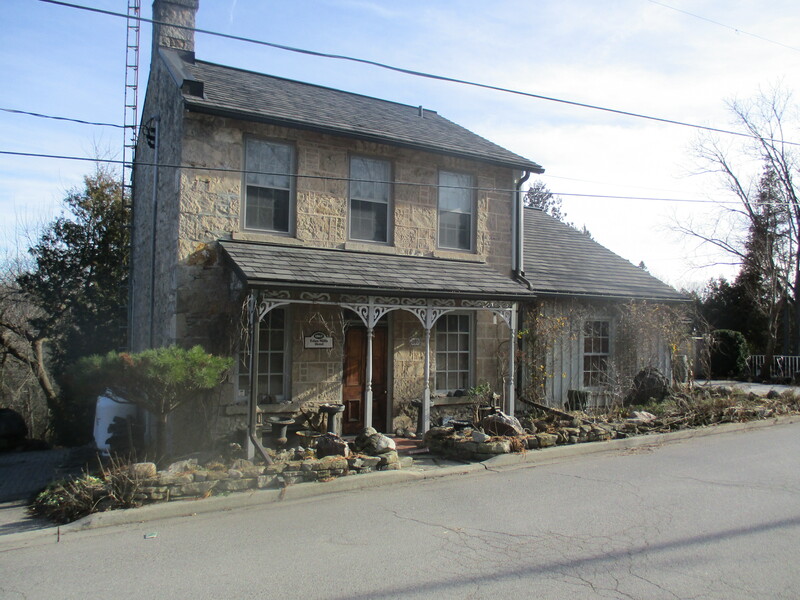 Darby built this stone house in 1859 showing that his trade came early to the village of Eden Mills, just as it did in the Garden of Eden. Built in the year of Confederation the Eden Mills Hotel is another example of local stone architecture. 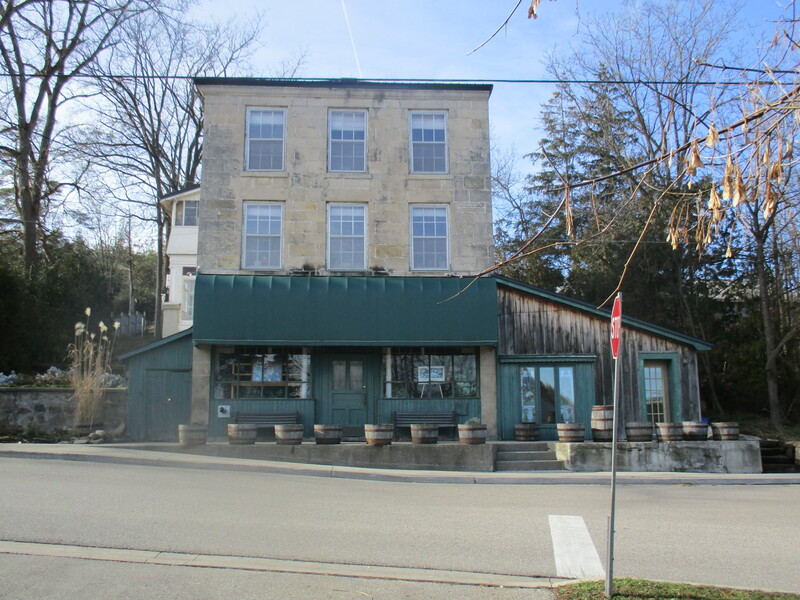 The General store is the only three-story building in the village. As the village of Eden Mills works toward being the first carbon neutral village in North America they are also becoming more and more like the garden from which their name is taken. 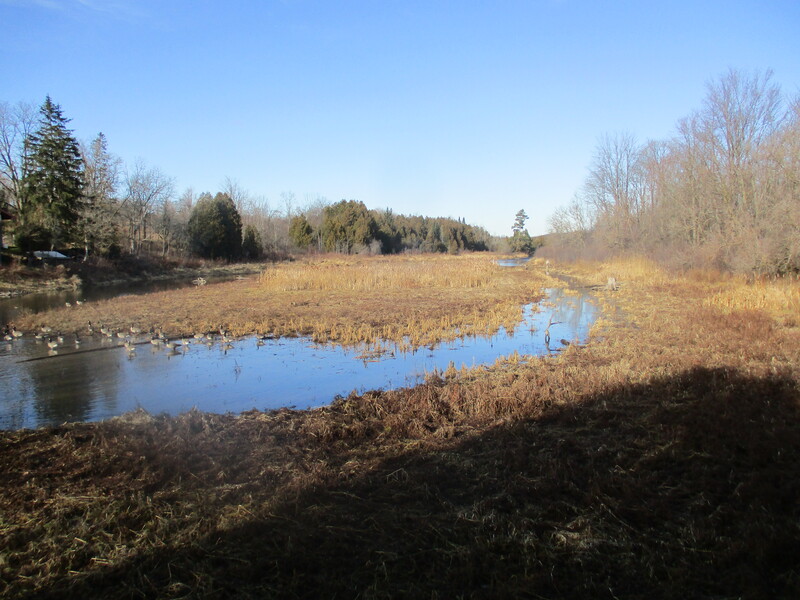 This entry was posted in Eramosa River and tagged carbon neutral, Eden Mills, Eramosa River on December 3, 2015 by hikingthegta.